A family produced liqueur from East Lothian, made from Scottish Brambles or Blackberries, as they are known in other parts of Britain. It has a wonderfully rich and fruity taste, balanced perfectly with a little tickle of whisky. We have bottled it here in our handsome Antica Quadra 500ml bottle. 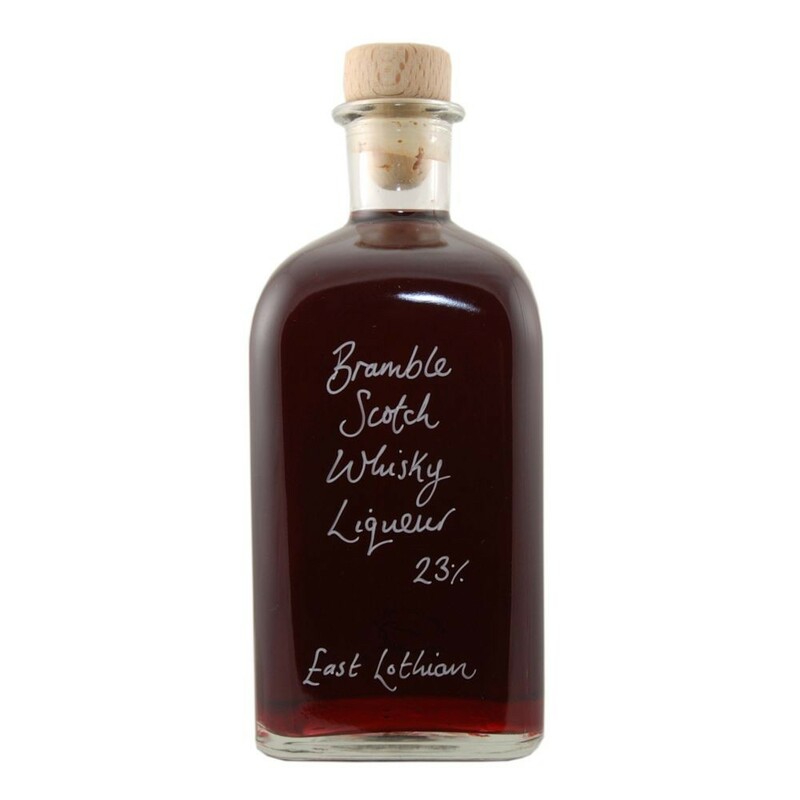 Bramble Scotch Whisky Liqueur is delicious to drink after supper, especially with cheese, or in a hip flask to use as a nip when out walking in the hills. Its rich, full bodied, almost port like flavour makes is perfect for use in gravies and sauces for game and red meat dishes. The producers of this liqueur, Robin and Derry Ford, gave up teaching to make liqueurs in their back yard in 1999. We first came across the Teachers and their drinks at a dinner party in 2004, where they had brought along their handmade creation as a present for the host. So good was its taste that it became our founding drink. Not only is it now a permanent fixture of our own drinks trolley at home, it was voted by the Scotland on Sunday as being amongst the top 100 liqueurs made in the world. 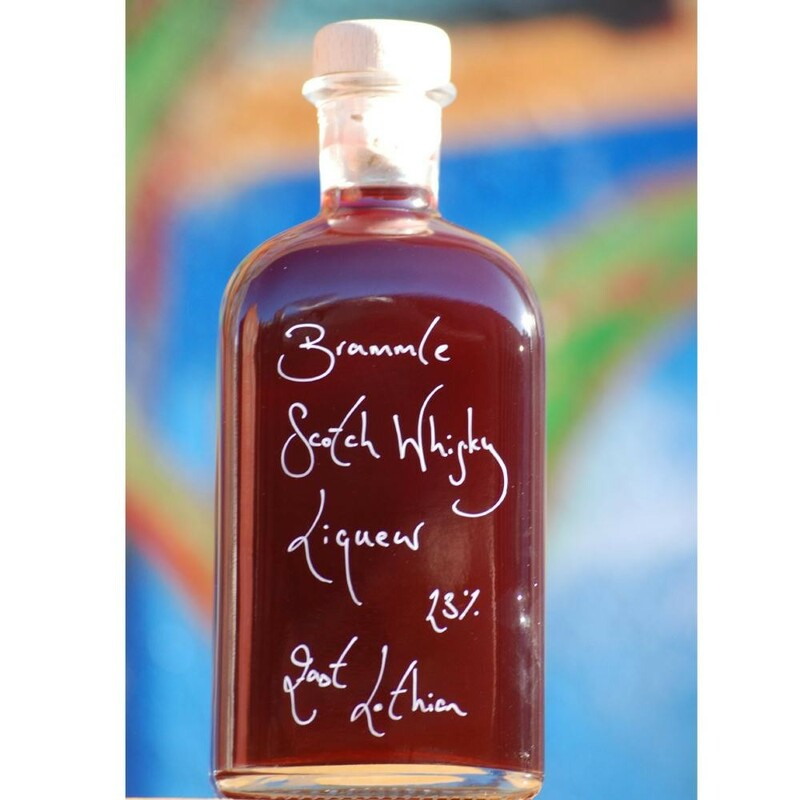 This whisky liqueur has been developed from traditional fruit liqueur making recipes and contains an infusion of Scottish Brambles with sugar and Grant’s whisky. Simple ingredients but made with the infinite care of experts. Bramble Scotch Whisky Liqueur is also known as Brammle (pronounced bram-el), which translates from the old Scots as Bramble.